This new community is the first Lakewood Ranch venture for this Horsham, Pennsylvania-based builder. Thus, this company could be expected to strut its over 50 years of industry experience in its initial offerings in the master development. The Isles at Lakewood Ranch is planned for about 450 single family homes on 340 acres east of the well-established high-end community The Lake Club north of University Parkway. 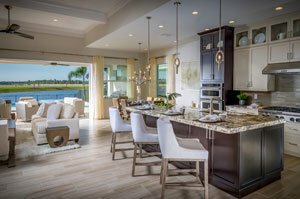 Toll Brothers began building its first models at the Isles at Lakewood Ranch sometime in June and expects to complete them by this fall, well in time for the yearly Tour of Homes in the master development. 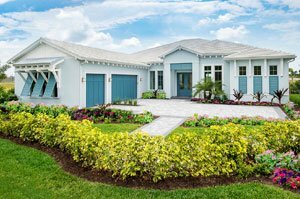 The home models that this company has set for its maiden appearance at Lakewood Ranch measure between 2,200 square feet and 4,200 square feet, with their price points starting from the $400s. These Lakewood Ranch homes for sale will be constructed on either 60-foot or 80-foot lots all with water and preserve views. Toll Brothers is lining up over a dozen one- and two-story designs of executive and estate homes to choose from in the Isles at Lakewood Ranch. This builder seeks to impress prospective buyers with its choice models that flaunt luxury appointments such as spacious living areas, gourmet kitchens, and private master bedroom suites. Select builds in this community will feature flat tile roofs, vibrantly colored plantation shutters, and exterior walls with light tone finishes. The amenities on the drawing boards for the Isles at Lakewood Ranch include a clubhouse with a state-of-the-art fitness center and resort-style pool. The community will likewise have walking trails, boardwalk and a dog park. A Fortune 500 company, Toll Brothers caters to move-up and second-home buyers, as well as the empty-nester and active-adult market segments. Toll Brothers is the 22nd builder which have entered Lakewood Ranch, and its local presence should help further prop up this master development’s position among the country’s best-selling communities. 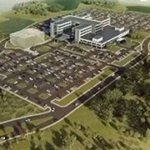 Toll Brothers operates in 20 states, and has already established several communities in West Florida. These include Azure at Hacienda Lakes, a master-planned project for over 400 luxury coach and single-family homes in Naples. Operating in some 20 other markets in the Sunshine State, Toll Brothers is also the builder at the Palazzo in Naples, at Bonita Lakes in Bonita Springs, at Coastal Oaks at Nocatee in Ponte Vedra, and at Rolling Oaks Estates in Southwest Ranches. Besides Florida, Toll Brothers also has market presence in 19 other states. These include Arizona, California, Colorado, Connecticut, Delaware, Idaho, Illinois, Maryland, Massachusetts, Michigan, Minnesota, Nevada, New Jersey, New York, North Carolina, Pennsylvania, Texas, Virginia, and Washington, plus the District of Columbia. In Fortune magazine’s 2015‒2017 survey of the World’s Most Admired Companies, Toll Brothers was named as the World’s Most Admired Home Building Company.